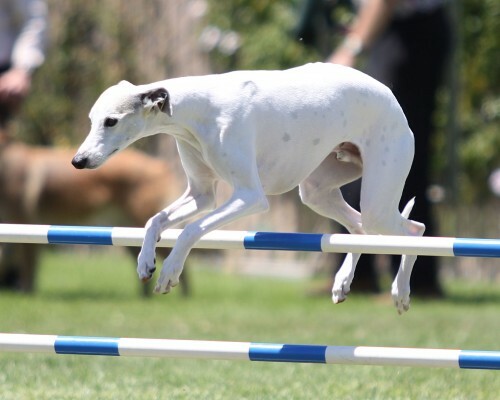 Donny is a 4½ year old whippet. Donny and I are learning agility together and having fun. Donny has these titles CD, RE, NJP, NAP, THD, and also a CGC and was a star puppy. We are concentrating mostly on agility now. He does therapy visits at convalescent cares, assisted living and adult day care facilities. He is also involved in a pet reading program at the Lompoc Library.